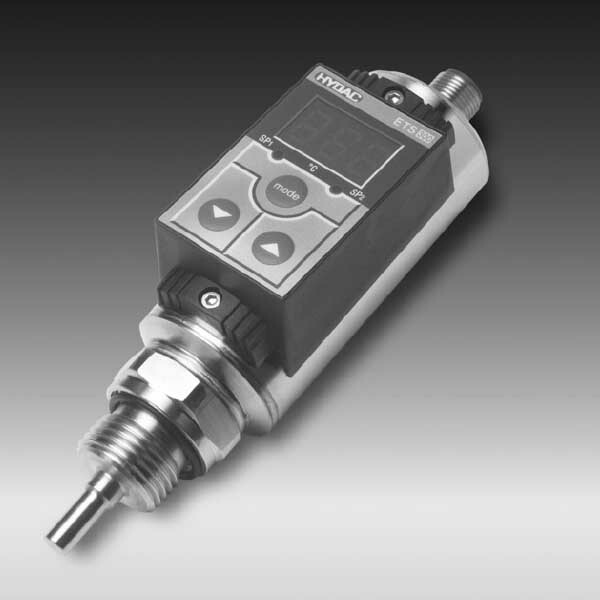 The ETS 320 is a compact electronic temperature switch with a 3-digit display. This model has a pressure-resistant to 600 bar and also has an integrated 18 mm temperature probe. What’s more, the installation can be directly inline or on the hydraulic block. It has a measuring range of -25 .. +100 °C. The ETS 320 can be available with different output models with one or two switching outputs. It can also be available with the possible option of an additional analogue output signal of 4 .. 20 mA. Therefore, this product offers a variety of application opportunities. Also, the adjustment of the switching points and the associated hystereses can be very quickly and easily using the keypad.